Tavakkoli, H., Salandari, S., Mosallanejad, S. (2015). The Effect of Copper Sulfate on Chicken Embryo During the Incubation Period. International Journal of Advanced Biological and Biomedical Research, 3(1), 1-6. Hadi Tavakkoli; Sajedeh Salandari; Seyede Saeedeh Mosallanejad. "The Effect of Copper Sulfate on Chicken Embryo During the Incubation Period". International Journal of Advanced Biological and Biomedical Research, 3, 1, 2015, 1-6. Tavakkoli, H., Salandari, S., Mosallanejad, S. (2015). 'The Effect of Copper Sulfate on Chicken Embryo During the Incubation Period', International Journal of Advanced Biological and Biomedical Research, 3(1), pp. 1-6. Tavakkoli, H., Salandari, S., Mosallanejad, S. The Effect of Copper Sulfate on Chicken Embryo During the Incubation Period. 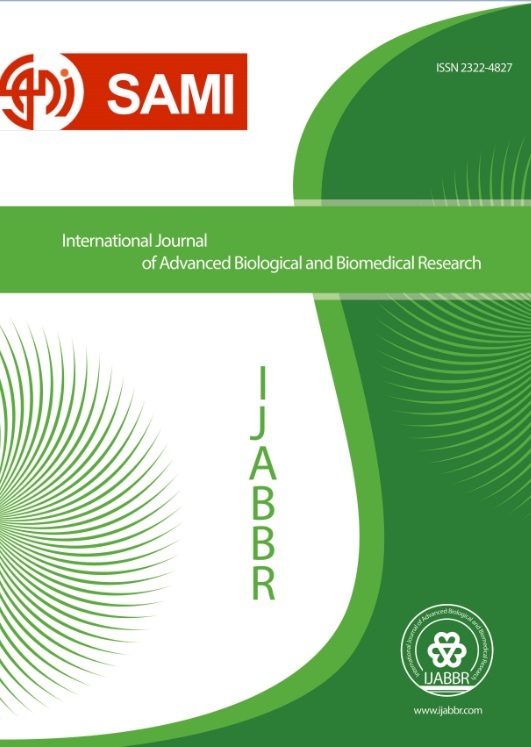 International Journal of Advanced Biological and Biomedical Research, 2015; 3(1): 1-6. Objective: Fungal agents cause disease in virtually any susceptible hosts. In the poultry production and medicine, pathogens were eliminated from a line of a breeder by injection of antifungals into hatching eggs. There is little information available describing the safety of the antifungal drugs on the birds embryonated eggs. The objective of this study was to investigate the efficiency of the injection ofcopper sulfate solution on the chicken embryonated egg. Methods: Fertile chicken eggs were distributed into 3 groups and set in the incubator. On 4th day post incubation, two groups were injected with the copper sulfate solution, 5 and 10 mg per Kg egg-weight, dissolved in 0.5 ml phosphate buffered saline. The rest group was used as sham control (0.5 ml phosphate buffered saline solution). Results: Macroscopic evaluationon 18th day post incubation showed that embryos were normal in all treatment groups. Microscopically, no lesions were also diagnosed in the brain, heart, muscle, liver, kidney and lung of the embryos. Based on macroscopic and microscopic findings, it is concluded that copper sulfate at above-mentioned concentration is not toxic for the chicken embryo at the stage of development. So, copper sulfate egg-injection can be used toeliminate fungal agentswithout any adverse effect.